This is part 4 of many! For the most part, this is same content/notes that I had done as part of my SCCM Guru sponsored webcast in early 2012. Maybe extend this script to use a TS variable to modify the restart behavior? List of hotfixes for task sequences?? Automagically include support-related files in your boot images for troubleshooting during task sequences. How can I get my task sequence to prompt for a password? Possible to run a DCM in a TS to detect inventory? 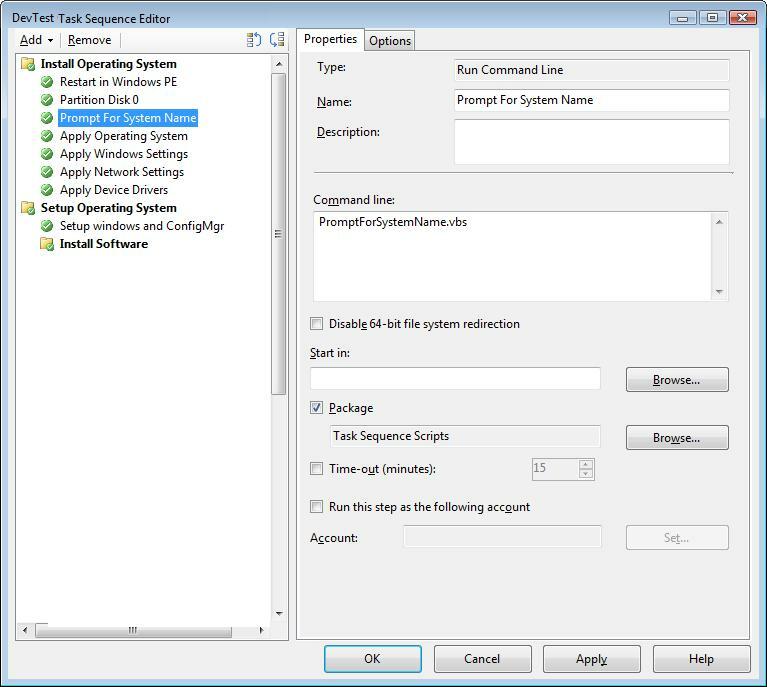 This entry was posted in ConfigMgr 07, The Power of Task Sequences.